Perfect For A Wedding or Party. Hand Woven Pure Tussar Silk Saree Comes Special Intern Woven,Grand Floral Weaving and A Special Zari Border. 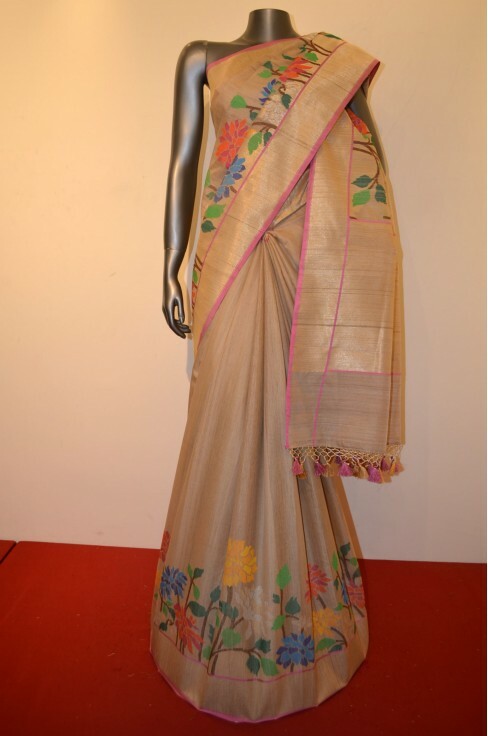 The Classic Grand Pallu and Comes With an Attached 0.8 m Tussar Silk Blouse.